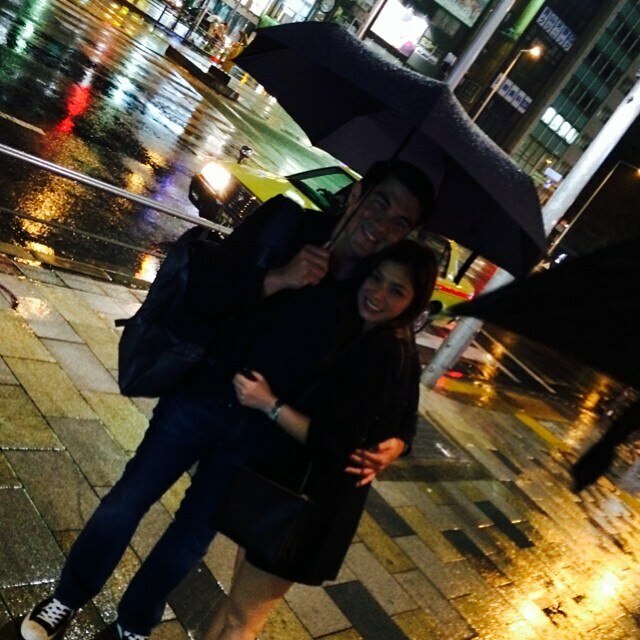 After parting ways in 2009, Angel Locsin and Luis Manzano rekindled their romance last year. Angel’s father approves of Luis and Luis’s mother, Star for All Seasons Vilma Santos-Recto, has nothing but admiration for The Legal Wife actress. "Isa sa mga na-appreciate ko kay Angel, na nakikita ng mga tao, ay matulungin [siya]. If there's anything na pwede niyang i-share or pwede niyang maiabot na tulong pag may kalamidad, she's always there and that's a good sign. (Pati) kung paano niya alagaan, paano niya i-respeto at bigyan ng prioridad yung tatay niya, importante yun," Vilma said in a past interview with Anthony Taberna on Tapatan ni Tunying. They have both been very open about the fact that they are already speaking about settling down even if it’s still “a long journey.” According to Luis, they talked about it as early as their first date since their reconciliation last February. “We were having our first date night in Makati, we were eating and we were talking about the future. In a few years, ito ang gusto natin, bahay, saan tayo titira. So after, we were back to eating tapos, sabi niya, ‘Alam mo ba nung first chapter ng relationship natin, we never talk about these things?’ So sabi ko, ‘Okay, the mere fact that we’re talking about these things, means we are here to stay,’” Luis revealed. They already have one ninang who has volunteered to shoulder their lavish honeymoon in Milan Italy. This was announced by the Queen of All Media on her daily talk show Kris TV last July. “Ayan na, ayan na… on cam, a, ‘yan na ang regalo ko—the Italy honeymoon. Yung four nights [sa] hotel, yun lang [ang sasagutin ko], ha. The rest of hotel [stay], kayo na,” she said, even adding that she would also shoulder the couple’s airfare to the destination. Love is indeed sweeter the second time around. The two weathered many criticisms they received after admitting that they were once again seeing each other after only a few months of parting ways with their respective partners.